AMS, the acquiring company, is a manufacturer of innovative and technologically advanced products for the global surgical, wound closure and advanced wound care markets. This is their first acquisition in Israel, and Sealantis will be an innovation center for the multinational group. AMS’s products are sold in more than 75 countries, and the group has more than 600 employees. 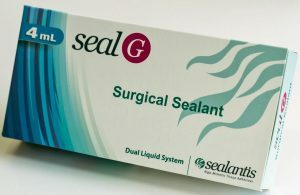 Sealantis develops medical device products, based on a proprietary platform of alga-mimetic tissue adhesives, for a variety of applications in surgical adhesion. 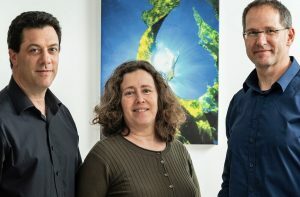 The company was established under the auspices of the AMIT Institute at the Technion, under the leadership of Prof. Havazelet Bianco-Peled, a world-renowned expert in biomedical polymers, from the Faculty of Chemical Engineering at the Technion. The company’s present focus is on surgical seals designed to stop bleeding, prevent leakage of digestive tract contents into the abdominal cavity, prevent leakage of spinal fluid, and a variety of other applications. The leading advantage of the technology is the fact that it is based on a polymer produced from algae, which does not contain proteins, and therefore the risk of infection or allergy is significantly lower than that of competing products produced from animals. The product does not require refrigerated transport and storage, it can be applied by spreading or spraying and is also suitable for use in laparoscopic surgery. Tomer Fuchs, CEO of Sealantis, says that the connection with AMS increases the potential impact of the company’s products: “The journey of Sealantis is underway. The merger into AMS is an important milestone in the realization of our vision to enable medical teams around the world to prevent serious surgical complications thanks to Sealantis’ products. Following the merger, AMS will enjoy our scientific and engineering capabilities as an Israeli start-up company in the field of biotechnology, which includes innovation and the ability to bring simple and original solutions to complex challenges. AMS plans to expand operations in Israel, enabling it to expand into new, significant directions”. The team is composed of a small number of employees, with a majority of women, and includes chemical engineers, biotechnology engineers, and Technion graduates. Prof. Havazelet Bianco-Peled: “We studied the adhesive mechanism, and then we realized that the same principle could be applied to design adhesives intended for wet surfaces in the human body. We patented the technology with the understanding that there might be commercial potential to it. This is a fulfillment of a dream for me; not every day does a fundamental research project turn into an application and then a product. I had the opportunity to be involved in the development of a product intended to reach hospitals and to help patients, and there is no doubt that commercialization of the patent is an interesting experience. I was exposed to areas that I would not have known if I only stayed in the laboratory”. Today, Prof. Bianco-Peled continues her research in the field of polymers for medical uses. Prof. Wayne Kaplan, Executive Vice President for Research at the Technion: “This is an inspiring demonstration of how the potential for application of fundamental research was recognized and led to the establishment of a company. At the end of this long process, it is being acquired by a leading international company in the field, and it’s a wonderful example of how university-level research can impact society and humankind. I am positive that Sealantis will serve as an example for faculty and students at the Technion, and academia as a whole, regarding the potential impact of science on society”. Sealantis was represented by Adv. Tal Noy-Cohen and Adv. Roy Avneri of Golan Goldschmidt & Co.. The Technion was represented by Adv. Galia Amir Cheyne of Primes, Shiloh, Givon, Meir.